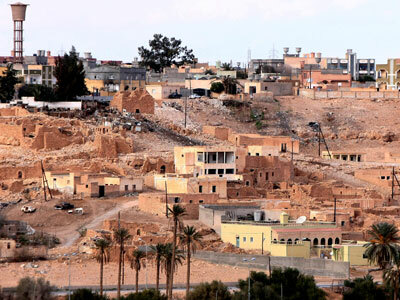 Bani Walid, Libya, has been under siege for nearly three consecutive weeks. A man whose family is in the besieged city spoke with RT, and described the horrors allegedly taking place: Civilians are killed every day by toxic gas and heavy tank fire. 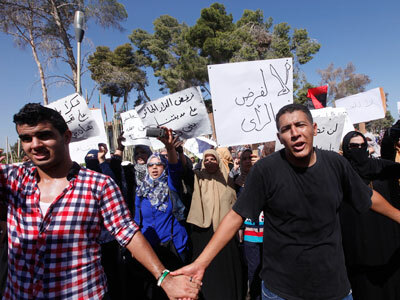 Bani Walid, the last stronghold for supporters of deceased Libyan ruler Muammar Gaddafi, has been under siege for 20 days, with no resolution to the conflict in sight. RT has learned that militias are reportedly shelling the city indiscriminately, with footage from Bani Walid showing dead bodies, and women and children with missing limbs and disfigured faces. A man named Faraj, who is currently in Egypt but is in contact with relatives in Bani Walid, spoke with RT and claimed that the militias are committing genocide. 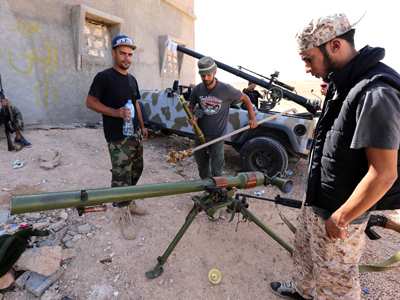 Militias have reportedly encircled Bani Walid, and are not allowing any supplies into the town including food, water, medicine or humanitarian aid. The town’s electricity and gas has also allegedly been cut off. 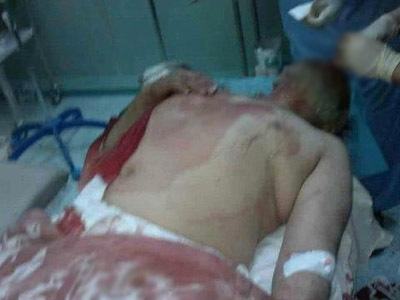 Several graphic clips published on YouTube claim to show the brutal aftermath of the recent shelling in Bani Walid. 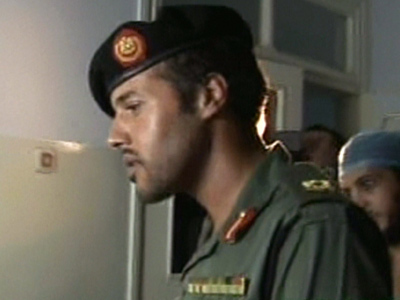 The siege was prompted by troops seeking to arrest those responsible for the death of Omran Shaaban – the man credited with capturing Gaddafi last year. The Warfalla tribe controlling Bani Walid was accused of kidnapping and torturing Shaaban. 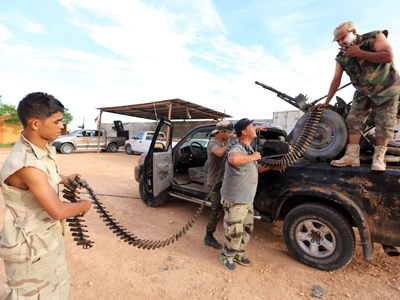 “We plea for the humanitarian agencies of the world to help us save our families inside Bani Walid. The people need immediate help and an intervention from the outside,” he said. 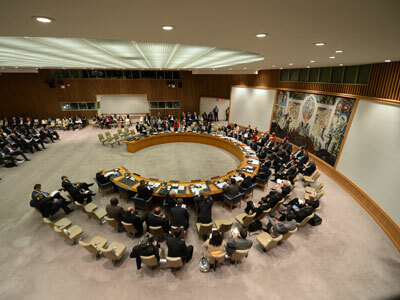 So far, the UN has taken no action to curb the ongoing violence. Russia attempted to propose a draft statement calling for a peaceful end to the violence in Bani Walid, but was blocked by the US. Barry Lando, an analyst of Arab issues, recently told RT that the main power in Libya is bands of armed militias. 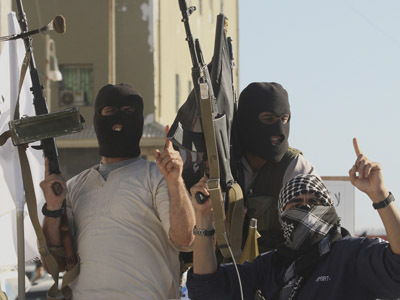 And since the country is awash with weapons, the violence seems unlikely to end anytime soon. 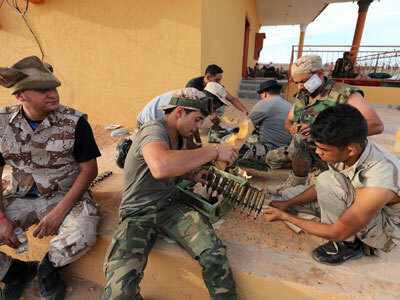 “Despite the setting up of an interim government in Libya with the backing of the US, the country is still very much troubled by tribalism, tribal confrontations, confrontations between pro-Gaddafi and anti-Gaddafi forces, and it is not expected that law and order and peace and development can be restored to the country within a very short period of time,” Joseph Cheng, political analyst and professor at Hong Kong University, told RT. The fragile new Libyan government experienced disarray at the outset when its Congress dismissed Mustafa Abushagur – the first prime minister to be elected since the uprising – for failing to form a new Cabinet. The country’s new Prime Minister, Ali Zaidan, is now also in danger of losing his post if the Libyan National Congress rejects his proposed cabinet – a firing that could further weaken the perceived legitimacy of the new government.